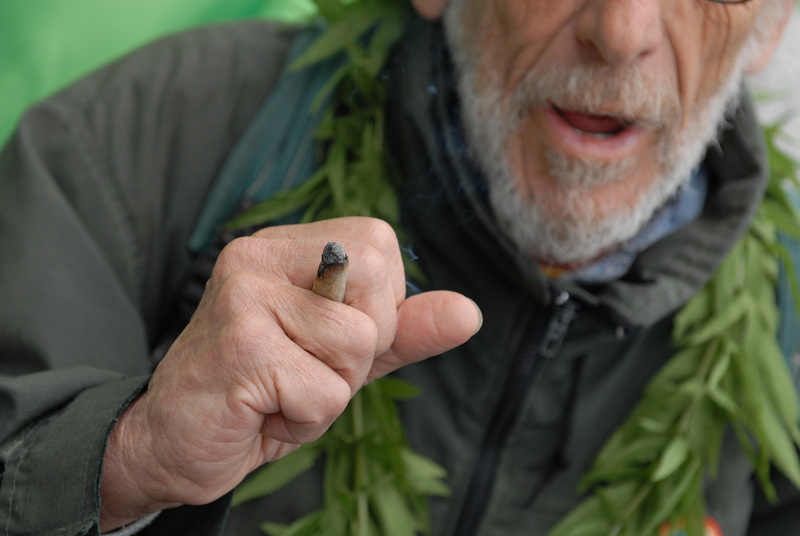 Cannabis social clubs are growing in popularity and gaining support throughout Europe. Spain has long been progressive in its attitudes toward cannabis. With the city of Bilbao proposing regulation, even more legitimacy is brought to this growing cannabis culture. Cannabis culture is spreading. There is no stopping it now. Prohibition and the propaganda surrounding cannabis over the last century have had profound effects on people's attitudes toward what was once generally accepted as a harmless plant. As we move forward into this new century, many of the old stigmas associated with marijuana are falling away. Modern science and medical research are showing cannabis to be one of the more versatile plants on the planet. There is virtually no end to its application in health and textiles. Recreationally, it is a safe and fun experience that's growing in popularity everyday. Not all countries will be brave enough to decriminalize drugs like Portugal. However, many are recognizing that marijuana prohibition has done far more harm than good. There is a chain reaction that occurs once cannabis legalization or decriminalization is embraced. Crime rates tend to drop, economies get a bump, and consumers are no longer forced into a black market. In areas that have allowed commercial sales of marijuana, the influx of money helps pay for textbooks for kids and food for the homeless. Cannabis is already embraced by a large portion of the population. Governments across Europe are also starting to realize that cannabis has the potential to impact large-scale positive change in their communities. One of the latest trends in European cannabis culture is the emergence of private social clubs. Private cannabis clubs have been around for some time but are gaining in popularity. Cannabis club memberships are typically referral-based. There are also restrictions requiring residency and that the member be 18 years of age. Private clubs are basically seen as a group of friends who have come together to grow and distribute cannabis among themselves. They are not retail establishments but they do provide a safe and fun place to acquire marijuana and enjoy a smoke with a mate. While the coffee shops in Amsterdam are described as more of a retail type experience, cannabis social clubs are more akin to a casual living room. Their sizes and shapes vary but the essence is always the same. People getting together to enjoy friendship and good cannabis. Spain currently finds itself on the forefront of cannabis legislation in the EU. While it is not allowed in public areas and can catch you a hefty fine, it is allowed in private homes and in a growing number of cannabis social clubs throughout the country. Barcelona has made quite a name for itself. The city and the surrounding areas have become home to over 300 clubs. Some clubs operate in the shadows, keeping a low profile, while other have taken a bold step and moved into more touristy locations. While they are technically not open for pot tourism, many cannabis clubs are finding themselves welcoming travelers in spite of the current laws. The laws that cannabis clubs operate on are not new by any means. They could be viewed as loopholes in laws that have been on the books for decades. The laws require them to be non-profit and members only. But who's to say you can't be a member for a day? The club model that has become part of the growing cannabis landscape in Barcelona can be found throughout the country. The city of Bilbao is also making strides in the world of cannabis culture. It has played a significant role in solidifying cannabis club standings throughout Spain. The Kalamudia CSC won what is probably the most significant court battle to date in regards to cannabis social clubs. Before they were appearing in neighborhoods throughout Barcelona, cannabis clubs came under heavy fire in the late twentieth century. The Kalamudia CSC was basically accused of trafficking but was able to show that the quantities grown, which worked out to be around three plants per member, did not violate any established law. Thanks to the Supreme Court and the Kalamudia CSC, the right to grow and distribute cannabis among the members of social clubs was firmly established. While it has been more than fifteen years since cannabis social clubs had their day in court, the City Council of Bilbao proposing formal regulation of cannabis clubs is a giant step forward in the legitimization of the cannabis movement in Spain and beyond. Ultimately the City Counsel is looking to protect the rights of of neighbors to cannabis clubs while maintaining the people's right to gather and collectively grow cannabis. Regulation like this not only protects the right to grow cannabis, it sends a clear message to politicians at the national level that cannabis clubs are here to stay. Cannabis is slowly but surely garnering support throughout Europe. Despite coming under legal scrutiny, a handful of cannabis clubs have opened in Belgium. The laws there have loosened up and allow tolerance for personal cannabis use while the government has stated they would allow for research into medicinal use. And while still technically illegal, small cannabis social clubs have been popping up in Prague. Prague is another example of a city whose policies haven't caught up with their politics. While still illegal, one may find themselves at one of a few cannabis friendly establishments where securing bud and sampling it on the premises isn't a problem for anyone. The wave of cannabis acceptance that is spreading throughout Europe and the World is the result of decades of frustration over prohibition. As attitudes toward cannabis are changing, so will future legislation. With new legislation comes legitimization. Marijuana decriminalization has proven the sky isn't going to fall and society isn't go to crumble. As the thriving cannabis clubs have shown us, people can come together to consume marijuana in a responsible manner. With the success of social clubs in places like Barcelona, we are likely to see other cities across Europe embrace this growing cannabis culture.